English is the universal language. 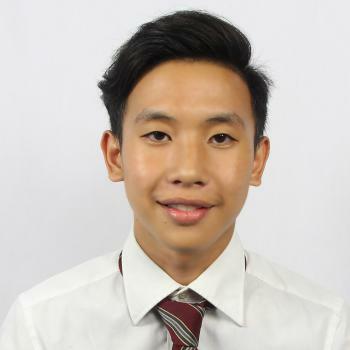 Hi, I'm Choi and I would love to share my knowledge in English with you guys in an exciting experience. I couldn't be more excited in having fun in teaching our lessons with you. Teacher Choi is taking Bachelor of Science Aircraft Maintenance Technology. His greatest achievement is winning the best impromptu speech in his school.Teacher Choi is taking Bachelor of Science Aircraft Maintenance Technology. His greatest achievement is winning the best impromptu speech in his school. He loves playing computer games, sports and reading books. He wants to become an ESL teacher because he'd like to share what he knows to other people and gain experience in engaging to other people. He listens to people and wants to make them smile.